Breakfast is included and in our lounge, where guests can enjoy free coffee and tea all day, play pool, or watch movies on our big screen TV. Our guests will have 24 hour access to the hotel and can come and go as they please. 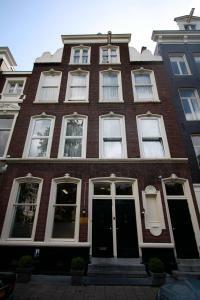 Guests can walk to the zoo, The Hermitage Museum, Waterloo Square and the Red Light District, all within 10 minutes. Tram 9 and 14 stop near the hotel and provide convenient service to other areas of the city.